What are the risks associated with MRI Scans? From a practical point of view, there are few medical risks. MRI’s do not utilize radiation. Unless there is use of a dye, it is completely noninvasive. Most patients can tolerate the procedure well. But, certain patients do have some medical risks associated with MRI Scans. If you have had any metal device implanted in your brain, or heart, such as cardiac stents, brain aneurysm clips, or coils, or metallic implants in your ears or eye, you should avoid MRI’s as the magnetic forces can potential cause movement of these devices. In addition, some metallic implants such as pace makers, defibrillators and implanted pumps can malfunction with the magnetic. But, some of the other risks are not necessarily medical in nature. If you are in the process of applying for disability, life insurance or health insurance, some policy underwriters will use the prior history of MRI testing as a risk factor, and may cause increase to your premium. If you have been in an auto accident, a prior history of MRI testing of certain areas may subject you to scrutiny regarding a pre-existing condition. Finally, from the pure statistical standpoint, we know that most people will have MRI evidence of structural abnormalities to the spine, and the knees and shoulders. Many of these structural abnormalities can be completely asymptomatic, and not necessarily the cause of any pain or discomfort. But, once you have an MRI, and an abnormality is identified, there is a much greater likelihood you will have surgical management for that finding, even if you have complete recovery of your pain from the time of the MRI study. The reason is not that aggressive surgeons will recommend surgery for the problem. The reason is that you, the patient, will assume any future pains are secondary to the finding on the MRI. Over time, you may request surgical management of the finding, even if the complaints are not completely consistent with the findings on the MRI. So, even if your original surgeon will decline to offer the operation, you can usually find someone who will perform the surgery. I am not suggesting the second surgeon performed an unneccessary surgery. But, I am saying the original surgeon will likely suggest waiting for it to improve (as it has in the past), while the next surgeon, not understanding that history, will offer the surgery. The outcome can still be excellent, but, there is a chance that waiting a bit longer may have also corrected the underlying complaints. Controversial statement, I know. But, I see this everyday. So, before you get an MRI of your body, please discuss the necessity of the MRI with your physician. Not only can the study be expensive, and cause some complications for certain patients, but it can also result in higher incidents of surgery, and higher insurance prices when your health history is being examined. 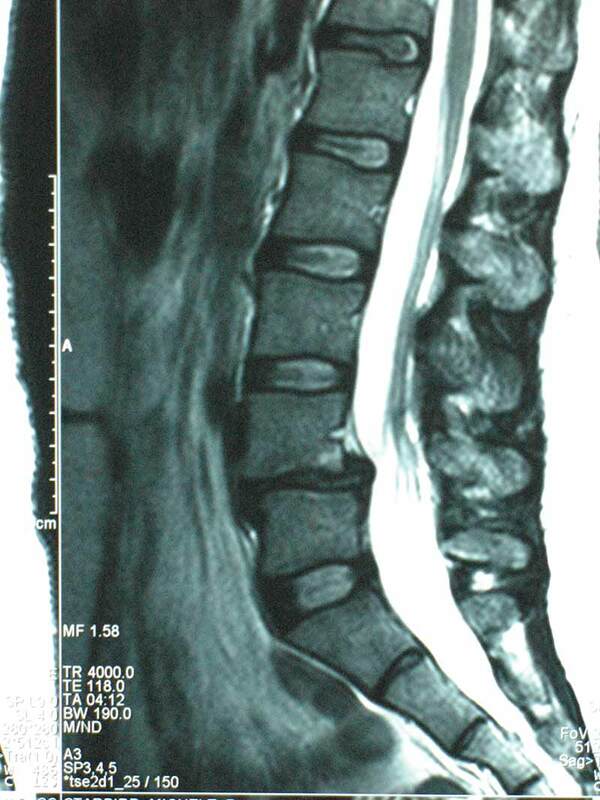 It appears to me that MRI scans are commonly ordered by spine surgeons to assist with diagnosis. I never thought about the possibility that MRI scans could be overly used until I read your blog post. Thank you for sharing your insight. It is not that scanning has been shown to cause any physical harm by itself. But, there are other ramifications of just knowing about a condition. With the spine, findings may or may not have anything to do with your current complaints. If they are not correlated with your complaints, it is likely to confuse the issues, or cause non-medical ramifications. Thanks for your comments.